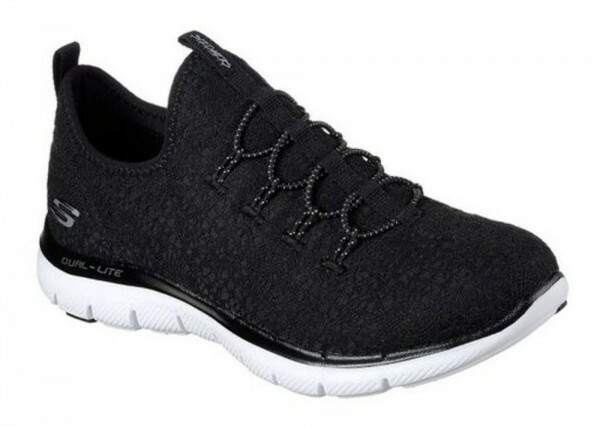 Product information "Flex Appeal 2.0 - Clear Cut - Black / White Textile"
Combine the best sporty style with a refined classic look in the SKECHERS Flex Appeal 2.0 - Clear Cut shoe. Nearly one piece eyelet-style crocheted knit mesh fabric upper in a slip on sporty walking sneaker with bungee stretch front panel and Air Cooled Memory Foam insole. Related links to "Flex Appeal 2.0 - Clear Cut - Black / White Textile"
Customer evaluation for "Flex Appeal 2.0 - Clear Cut - Black / White Textile"